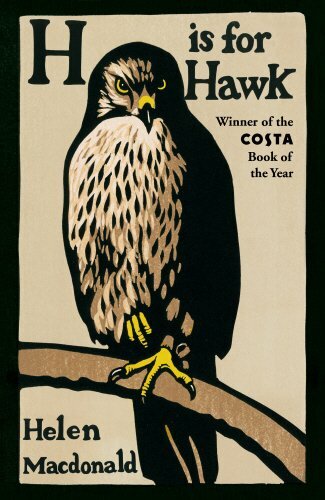 Helen Macdonald’s memoir H Is For Hawk first came out in 2014; not only were the newspaper and online reviews uniformly positive, but copies were flying out of the door of the bookshop and customers reported back that it was fantastic. I bought it. I tried to read it. And I hated it. I’ll admit that I didn’t try very hard – around 20 pages was enough. I couldn’t stand the intensity, the hyper-sensitivity, the misery, the self-indulgence. It’s lucky that I kept my opinion to myself, for now I can see it was a clear case of bad timing. The wrong book at the time. The wrong time for the book. I still found the tone initially off-putting; I had to make myself persevere. She just sounded so mad! And then I got it. Of course. She – Helen Macdonald – was mad. For goodness sake, she said she was – never truly mad, in the sense of psychotic but like Hamlet, mad north-north west – madness that was, as she said, “quiet and very very dangerous.” It was grief, the madness of grief, and so everything she sensed and felt and thought about was saturated by that unhinged, unbalanced, perilous state. Whatever the mood I was in at the time, I simply couldn’t bear to be with Macdonald in her grief. But now, as I begin my year of reading from my shelves and the library, H is for Humbly Changing My Mind. What a wonderful book this is! It has so many elements that I love – like closely observed and poetic descriptions of the natural world, of landscape and the creatures in it – history – literature and biography (in her discussion of T H White, author of The Sword in the Stone and The Goshawk). Add to these a truly poignant memoir of the sheer slog and struggle of loss and grief and depression and Macdonald’s achingly slow reconciliation with life. …amidst a chaotic clatter of wings and feet and talons and a high-pitched twittering and it’s happening all at once, the man pulls out an enormous, enormous hawk out of the box and in a strange coincidence of word and deed a great flood of sunlight drenches us and everything is brilliance and fury. The hawk’s wings, barred and beating, the sharp fingers of her dark-tipped primaries cutting the air, her feathers raised like the scattered quills of a fretful porpentine. Two enormous eyes. My heart jumps sideways. She is a conjuring trick. A reptile. A fallen angel. A griffon from the pages of an illuminated bestiary. Something bright and distant, like gold falling through water. There’s so much more to this book than this beautiful writing. It’s an eye-opening – more accurately, mind-opening – account of a human having a relationship with a non-human; an attempt to get inside animal consciousness, to try to understand Mabel’s understanding of the world. On that Scottish quay, when the young hawk is first removed from her box, without her hood, Macdonald writes of Mabel that everything was “startling and new-stamped on her entirely astonished brain”. It was “an alien brain fizzing and fusing with terror”. I won’t go on. If you haven’t read it, you should – when you can. If you have, you’ll know what I’m talking about. An aside: I’ve just finished a reading copy of Lost Connections: Uncovering the Real Causes of Depression – and the Unexpected Solutions by Johann Hari. He writes about the mental health bible used by US doctors (and I’d say probably Australian ones as well) Diagnostic and Statistical Manual (DSM). It was first published in 1952, has gone through several editions, and contains a checklist doctors use for picking up depression and anxiety in their patients. If a person shows at least five out of nine symptoms, they are diagnosed with depression. When doctors first applied this checklist to people who were grieving, those people met the clinical criteria for depression. “This made many doctors and psychiatrists feel uncomfortable. So the authors of the DSM invented a loophole, which became known as ‘the grief exception’.” Thus, it was seen as normal, or reasonable, or natural, to display this set of symptoms when you’ve suffered a loss without being diagnosed with depression. Hari writes that in the most recent update of the DSM, ‘the grief exception’ has been removed. I’m so glad you tried again with H is for Hawk — such a wonderful book. Yes, as you said, Kate – it’s wonderful. It just goes to show that it can be the wrong time for the right book!